The first and most important part of this project is to set your footings properly. 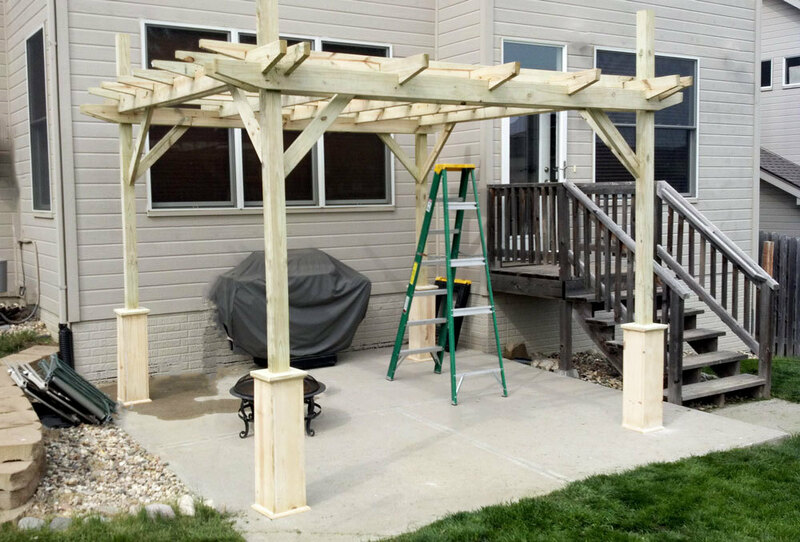 There are several different means to do this – if you are setting your pergola on a wood deck or concrete patio or other stable level foundation, you can simply screw the post brackets to the deck as done here by Popular Mechanics. It’s a good idea to review this link regardless, as there is lots of good information in there.